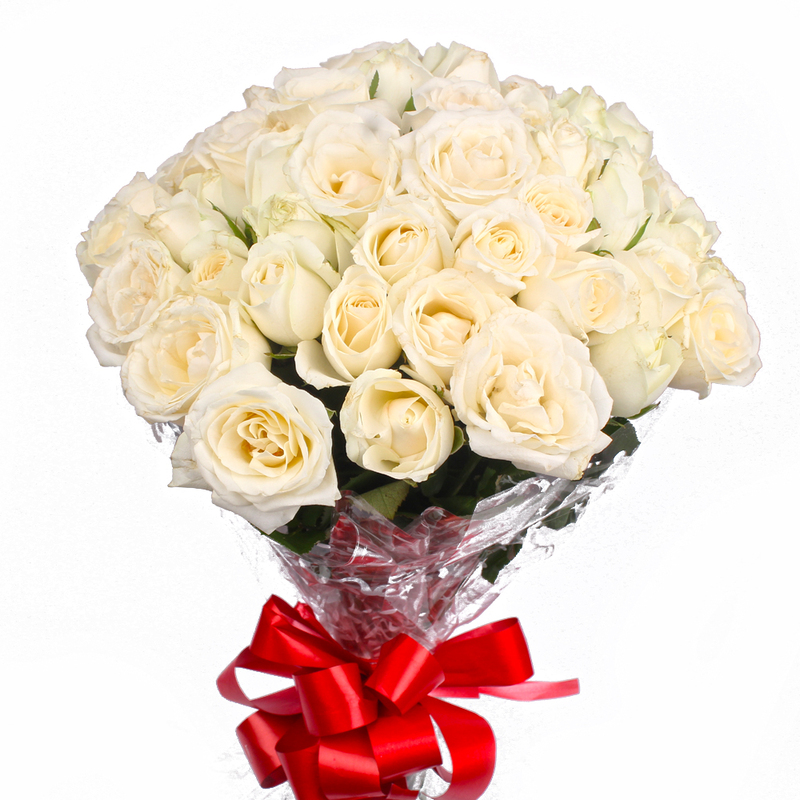 Product Consist : 50 White Roses with green fillers in Cellophane Wrapping with Ribbon Bow on it. 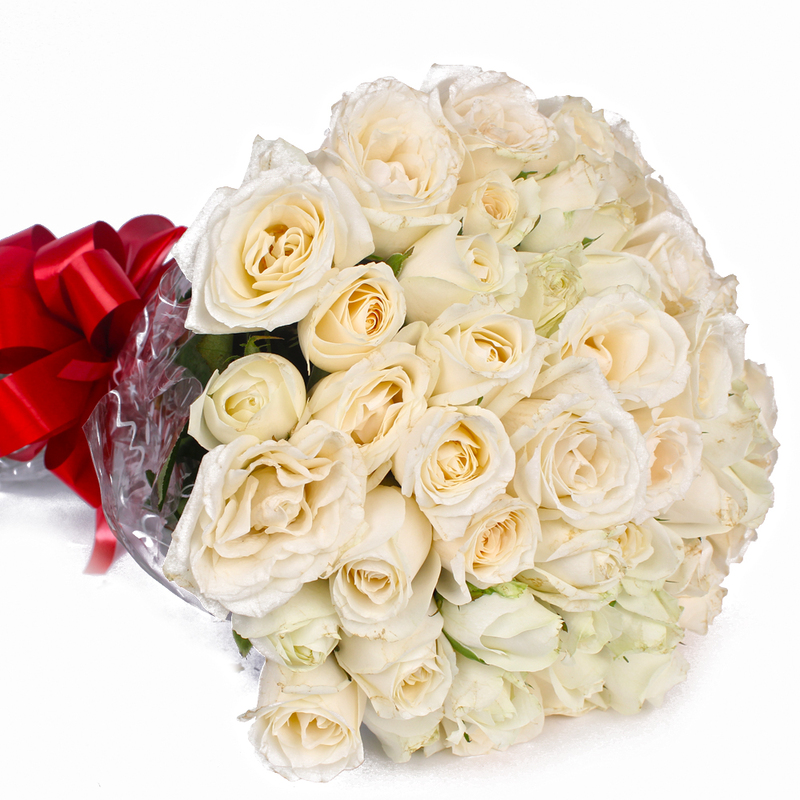 This bouquet of White Roses is the perfect way to express your love for someone special. 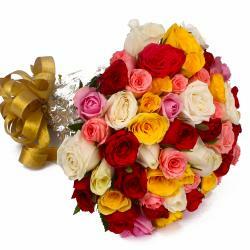 They look exotic and have been arranged beautifully in cellophane paper. 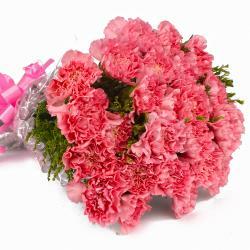 These flowers have a bow wrapped around them in matching ribbon to keep them in place and to complete the look of the bunch. 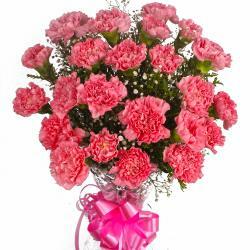 The flowers are a great gift for friends and family on condolence, sympathy, takecare, miss you, weddings, anniversaries and even on a congratulatory note. 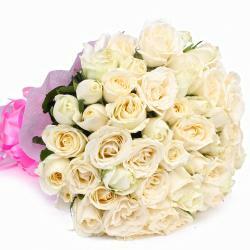 Product contains : Fifty White Roses with green fillers in Cellophane Wrapping with Ribbon Bow on it.